But many businesses still don’t understand how to really maximise the value of their social media, or even how to use it at all. Around 60% of brands are missing the opportunity to test and measure the success of their social media campaigns, and use that knowledge to improve their strategies. So today we want to share with you some of the key marketing metrics to use and how to go about actually analysing them. There are a lot of things you can measure on social media, from impressions to ‘relationship factor’. And there has been a lot of debate around which metrics you should be paying attention to, and which are worth investing time and money in. Are you reaching qualified people? Are you engaging with qualified people? How many of your social media fans are enquiring about your products/services? Ultimately, you can measure dozens of different metrics on social media, but there are only 4 that really matter: Engagement, reach, leads and conversions. Those 4 things are what will really make the difference to your business, and ultimately provide value. So we’re going to give you some tips on measuring those 4 key areas. The method you use to measure them might vary from platform to platform, but we guarantee there is a way to measure each one already built-in. Clicks: When you post a link, how many people are clicking on it? While link clicks are a direct representation of the quality of your post titles and images, people will generally only click on posts that interest them. Posts with a lot of clicks but not a lot of likes and shares show that your post got readers attention, but didn’t deliver, while lots of likes and shares but low clicks means you need to tweak the way you pitch your content. Likes: Human beings naturally gravitate towards things that are popular, so posts with a lot of likes lead to more attention for your brand. More likes are also a key signal to the platform that your post has caught the attention of users and it will be shown to more people as a result. Shares: In today’s society, hitting ‘like’ on a post is a pretty passive action. But sharing something is an active choice, and something you want to encourage. When someone shares something you post, they are essentially recommending you to their friends and family. What better indicator of success is there than that? Comments: If you post interesting, relevant information , it will spark a conversation, which means comments. Posts that generate comments are incredibly positive, while silence is damning. Getting comments on your posts consistently is a good sign that your content is hitting all the right notes. Brand Mentions: Interactions with your posts are great, but what difference does it make when people start talking about your brand organically? Well, it’s a sign you’re doing all the right things. Tags or mentions show that people are having a conversation about your brand when you’re not even in the room and that you’ve got that top-of-mind awareness. Active Followers: Passive followers will follow your account, but not do a lot else. Active followers will engage with your content regularly – at least every 30 days. Measuring how many active versus passive followers you have can be tricky, but thanks to tools like ManageFilter it’s a breeze. Having more active followers shows you have a good engagement rate. Followers: The total number of people following your brand on social media is a good indicator of your reach without any engagement. This is the total amount of people that could see your posts, and have actively said they want to. Individual posts will usually show you further reach based on engagement, especially if you’re promoting those posts. Impressions: Impression data shows you how many times your post has shown up in people timelines, newsfeeds or relevant platform. The post has been seen as the user already follows you, or it happens because someone they know shared or liked something of yours. It shows you every person who saw your post, and while it can be a bit vague, the higher the number is, the better. Traffic Data: This is the big one when it comes to reach. Open up your analytics and look at what percentage of the traffic to your website is coming from social media. If you’re putting a lot of time, effort or money into social content, this number should be pretty high. If it’s not, you’re not doing something right. You can use things like Google Analytics, HubSpot (which offers fantastic integration and a full CRM to track leads generated from social directly into your business), and even the platforms themselves to measure this. Once you’ve put in all the up-front effort and you’re starting to see some results from your social media efforts, it’s easy to get caught up in all the likes and shares you’re getting. It feels good to see people enjoying your content, and studies have shown that getting likes, shares and comments on social media actually releases dopamine in our brains. But that isn’t the aim of the game here? 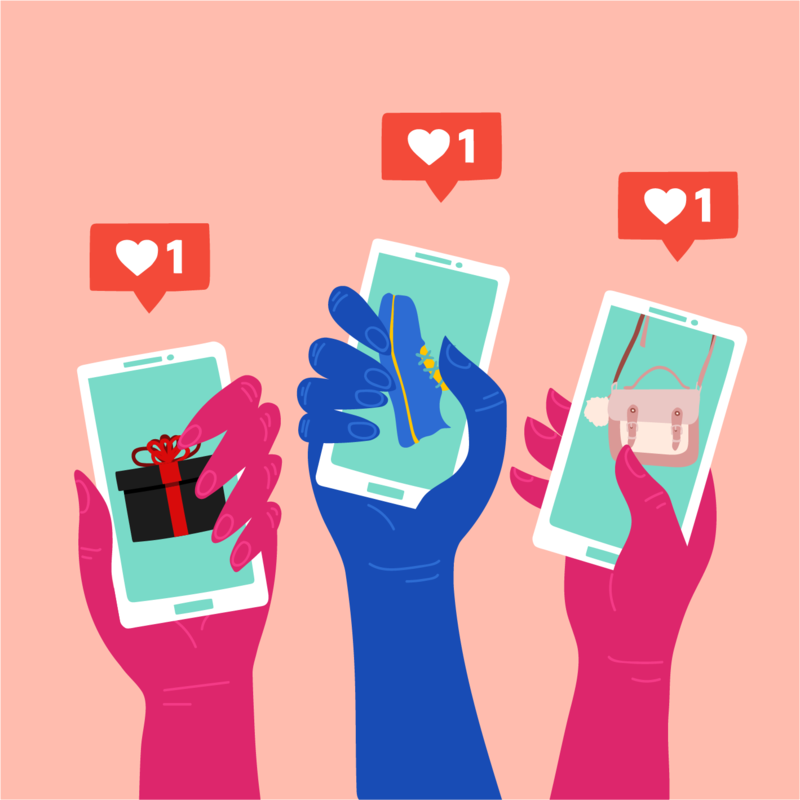 To make sure you’re getting the most you can from social media, you need to find out how many of those engaged people are actually interested in buying something from your company. In other words, how many of them are leads, and how many are just raving fans? You can’t really answer that question unless you’re measuring lead generation from social media. That’s another blog post in itself, but there are some great tips on social media lead measurement from Salesforce, which you can find here. And finally, how many of those leads actually turn into legitimate, paying customers? A lot of your social media content is probably focused on providing content for your audience and sparking conversations, but it should also be used to promote specific things and generate actual sales. This is the ultimate success of social media. You shouldn’t expect to have high new customer rates from social media because a lot of your followers will be current customers and another significant portion is only interested in the content. That’s just the way it goes. However, you do want to pay attention to which social media channels produce the highest and lowest numbers. This indicates where you where your best leads are coming from, and so where you should focus more time. Ultimately, tracking customer acquisition rates and conversion is the only way you’re going to be able to measure ROI accurately, so you have to do it, even if it isn’t as fun as measuring engagement and reach. Of course, testing and measuring your social media only really helps if you know what you’re trying to achieve in the first place! For that, you need a strategy, some goals and a roadmap to help you get there. But don’t worry if that sounds a little scary, the team at Orbital Media are here to help. If you want to find out more about what to measure (and how) on social media, just get in touch with the team today and book a consultation.